A ‘frame’ in NLP, and indeed in psychology, is the context we put around something in order to decide what it means. It’s as if we are drawing a boundary around it which includes part of our experience and excludes the rest. Whatever is inside the boundary, we use as the context to make sense of the thing or event, and whatever is outside the boundary is ignored. As you can imagine, some of these ‘frames’ are more helpful than others in the context of everyday life and work. Perhaps in the past you’ve viewed events through one or more of these frames, as most of us have and many still do, and found they didn’t serve you that well? It assumes that the bad result is the result of just one cause, the negligence or inadequacy of the blamed person, rather than resulting from the interaction of a number of causes. When public policy failures are investigated, looking for people to blame would get in the way of identifying any failings in the system as a whole, so it stays unchanged until the next disaster. A “blame culture” causes stress and is demoralising to the whole workforce, particularly where (as is always the case) they don’t have 100% faith in the justice of the investigation or its ability to identify the right culprits. Blame culture also makes people defensive, and more concerned with protecting themselves than with helping investigators get to the truth. Consequently, they say as little as possible, so it’s hard to gather reliable information. This is related to “Naive Realism”, the belief that the way you see the world is the one true way, and so everyone else who does something different from what you would do in a given situation is either mistaken, crazy, or wicked. Someone seeing the world through the frame of believing that they have access to absolute truth, and that no other truths are available, will believe either that everyone else has the same ‘map of the world’ as they do (in which case they are wicked or at best weak, because they see ‘the truth’ but don’t act on it, or that everyone else should have the same map of the world, in which case they are deluded – or perhaps wicked for wilfully choosing a different map. Either way they are setting themselves up for a lot of bafflement (“Why are they behaving like that?”) or anger (“They are not behaving how they should”) at other people’s actions. We all play a number of roles in our lives: ‘child’ with our parents, ‘parent’ with our kids, ‘lover’ in a romantic relationship, perhaps ‘lad’ or ‘girl’ with our friends, ‘professional’ at work, and so on. We act and even think differently for each role, allowing some thoughts and behaviours and suppressing others. But what if we get stuck in a particular role? This limits our flexibility and choices. In the context where that role is appropriate, playing the role may be useful, reducing the burden of choice and perhaps enabling us to find strength we would not otherwise have by acting ‘as if’ the role is our true self. However, if you are an engineer, and you start approaching parenting, having fun, or courtship purely as an engineer, you might run into problems, because there are going to be some aspects of those situations where a different approach would work better. Even at work, there are going to be some times when you need to be a human being first and an engineer second. To identify solely with one role, whether it’s your profession, a native of a particular country, an adherent of a religion, a father or mother, is limiting, because it excludes your choices and inner resources which would be useful in some situations. The way to escape this ‘false identification’ is to realise that whatever you think you are, you are always more than that. This is about viewing the world in two binary categories: “us and them”, “this or that”, “black or white”, “mind or body”. The downside is that it ignores nuance and the ‘shades of grey’ in between two extremes. This kind of thinking is unhelpful in most situations. In human relations it can fuel conflict by insisting that people take sides; “if you are not with us, you’re against us” as George W Bush said during the second Iraq war. As a way of looking at the world, it assumes that there is just one truth, and all other viewpoints are wrong. A secondary downside of an “us and them” frame is that we tend to project whatever we don’t like about ourselves onto the ‘other’ group. Ascribing these bad characteristics solely to the ‘other’ group stops us from recognising when we are behaving badly, so we don’t feel the need to improve. Instead, try a ‘Both/And’ frame that recognises that a situation can be both one thing and something else (like photons can behave as both a wave and a particle). This helps us to stay flexible in our thinking, and be less likely to try to ‘force’ our perception of a situation into one category or another. With this frame, you look at any interaction as a ‘zero-sum game’, where you can only win by making the other person lose, and vice versa. In conflicts or negotiations, this way of thinking would lead us to want to ‘destroy’ or humiliate our ‘opponent’, which can cause resentment and attempted revenge later. We can move beyond this limiting frame to a “Win/Win” frame, which recognises that we can find solutions that satisfy both parties. In fact, our apparent competitors may be helpful to us. 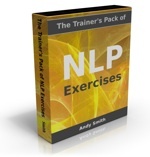 Richard Bolstad’s fine book for NLP Trainers The Training Secrets of NLP offers a good example, which matches my experience when I was running open NLP courses in the UK. I could look at other NLP schools as my competition (win/lose frame) but at the same time I was running Master Practitioner courses that had an NLP Practitioner qualification as a prerequisite of entry. Only about half the students on my Master Practitioner courses were graduates from my Practitioner training; the rest came from other schools. Without the other schools, the market for my Master Practitioner courses (and now my NLP books and knowledge products) would be much smaller, so I could also see the rival NLP schools as part of a supportive ecosystem (win/win frame). When applied in negotiations, a win/win frame is much more likely to lead to a lasting resolution, because it allows both sides to get what they want. This is by no means a complete list of unhelpful frames (and by ‘unhelpful’ I mean unhelpful in most contexts, as there will always be some contexts in which any behaviour is useful). 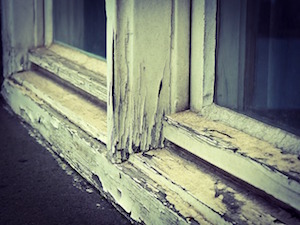 I wonder which other frames you’ve observed in your life that might not always be serving you well?